Configurable set of xFrame LCD mount bracket it's innovate offer in GSM market that offers every customer to choose exactly mount bracket they want to and create custom set. Till this moment every customer must purchase xFrame they don't want too - now you can choose which one you want exactly and create set that contains only new/hot xFrame (in offer you can buy 5 pcs set and 10 pcs set). xFrame LCD mount bracket for Sony Xperia Z1 Compact (D5503) made of brushed aluminum is used to deattach broken glss from the body of Xperia Z1 Compact without need to remove LCD. 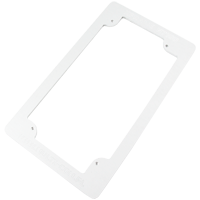 By using this bracket you simply remove glass in few simple steps and attach new one. LCD are preheated from bootom and bracket allows to seamlessly enter the molybdenum wire between the glass and the display and separate the glass without removing it from the frame. 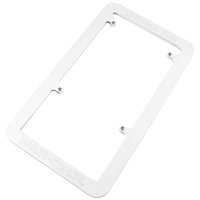 xFrame LCD mount bracket for Samsung Galaxy Note 2 (N7100/N7105) made of brushed aluminum is used to deattach broken glss from the body of Galaxy Note 2 (N7100/N7105) without need to remove LCD. 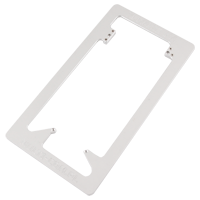 By using this bracket you simply remove glass in few simple steps and attach new one. LCD are preheated from bootom and bracket allows to seamlessly enter the molybdenum wire between the glass and the display and separate the glass without removing it from the frame. xFrame LCD mount bracket for Samsung Galaxy S (i9000) made of brushed aluminum is used to deattach broken glss from the body of Galaxy S (i9000) without need to remove LCD. 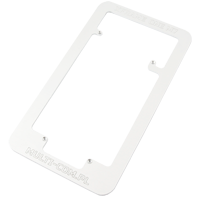 By using this bracket you simply remove glass in few simple steps and attach new one. LCD are preheated from bootom and bracket allows to seamlessly enter the molybdenum wire between the glass and the display and separate the glass without removing it from the frame. xFrame LCD mount bracket for Samsung Galaxy S2/S2 Plus (i9100/i9105P) made of brushed aluminum is used to deattach broken glss from the body of Galaxy S2 /S2 Plus (i9100/i9105P) without need to remove LCD. 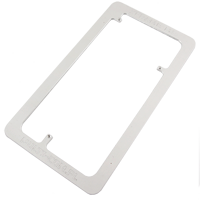 By using this bracket you simply remove glass in few simple steps and attach new one. LCD are preheated from bootom and bracket allows to seamlessly enter the molybdenum wire between the glass and the display and separate the glass without removing it from the frame. xFrame LCD mount bracket for Samsung Galaxy S3 (i9300) made of brushed aluminum is used to deattach broken glss from the body of Galaxy S3 (i9300) without need to remove LCD. 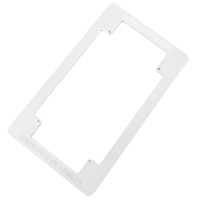 By using this bracket you simply remove glass in few simple steps and attach new one. LCD are preheated from bootom and bracket allows to seamlessly enter the molybdenum wire between the glass and the display and separate the glass without removing it from the frame. 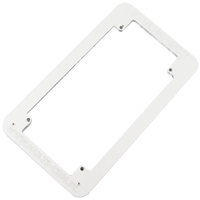 xFrame LCD mount bracket for Samsung Galaxy S4 (i9500/i9505) made of brushed aluminum is used to deattach broken glss from the body of Galaxy S4 (i9500/i9505) without need to remove LCD. 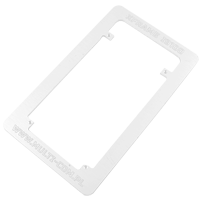 By using this bracket you simply remove glass in few simple steps and attach new one. LCD are preheated from bootom and bracket allows to seamlessly enter the molybdenum wire between the glass and the display and separate the glass without removing it from the frame. xFrame LCD mount bracket for HTC Desire 500 made of brushed aluminum is used to deattach broken glss from the body of HTC Desire 500 without need to remove LCD. 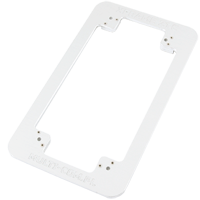 By using this bracket you simply remove glass in few simple steps and attach new one. LCD are preheated from bootom and bracket allows to seamlessly enter the molybdenum wire between the glass and the display and separate the glass without removing it from the frame. xFrame LCD mount bracket for HTC Desire 816 made of brushed aluminum is used to deattach broken glss from the body of Desire 816 without need to remove LCD. 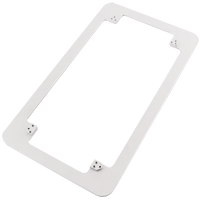 By using this bracket you simply remove glass in few simple steps and attach new one. LCD are preheated from bootom and bracket allows to seamlessly enter the molybdenum wire between the glass and the display and separate the glass without removing it from the frame. xFrame LCD mount bracket for HTC Desire HD made of brushed aluminum is used to deattach broken glss from the body of Desire HD without need to remove LCD. 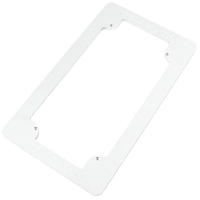 By using this bracket you simply remove glass in few simple steps and attach new one. LCD are preheated from bootom and bracket allows to seamlessly enter the molybdenum wire between the glass and the display and separate the glass without removing it from the frame. xFrame LCD mount bracket for HTC Desire X made of brushed aluminum is used to deattach broken glss from the body of Desire X without need to remove LCD. 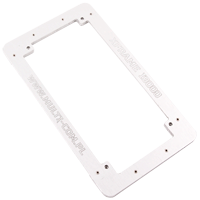 By using this bracket you simply remove glass in few simple steps and attach new one. LCD are preheated from bootom and bracket allows to seamlessly enter the molybdenum wire between the glass and the display and separate the glass without removing it from the frame. 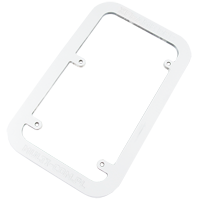 xFrame LCD mount bracket for HTC One (M8) made of brushed aluminum is used to deattach broken glss from the body of One (M8) without need to remove LCD. By using this bracket you simply remove glass in few simple steps and attach new one. LCD are preheated from bootom and bracket allows to seamlessly enter the molybdenum wire between the glass and the display and separate the glass without removing it from the frame. xFrame LCD mount bracket for HTC ONE M7 made of brushed aluminum is used to deattach broken glss from the body of ONE M7 without need to remove LCD. By using this bracket you simply remove glass in few simple steps and attach new one. LCD are preheated from bootom and bracket allows to seamlessly enter the molybdenum wire between the glass and the display and separate the glass without removing it from the frame. xFrame LCD mount bracket for HTC One mini (M4) made of brushed aluminum is used to deattach broken glss from the body of Note 4 without need to remove LCD. By using this bracket you simply remove glass in few simple steps and attach new one. LCD are preheated from bootom and bracket allows to seamlessly enter the molybdenum wire between the glass and the display and separate the glass without removing it from the frame. xFrame LCD mount bracket for HTC One S made of brushed aluminum is used to deattach broken glss from the body of One S without need to remove LCD. 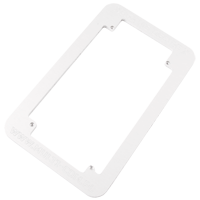 By using this bracket you simply remove glass in few simple steps and attach new one. LCD are preheated from bootom and bracket allows to seamlessly enter the molybdenum wire between the glass and the display and separate the glass without removing it from the frame.